A few moments from the studio today. 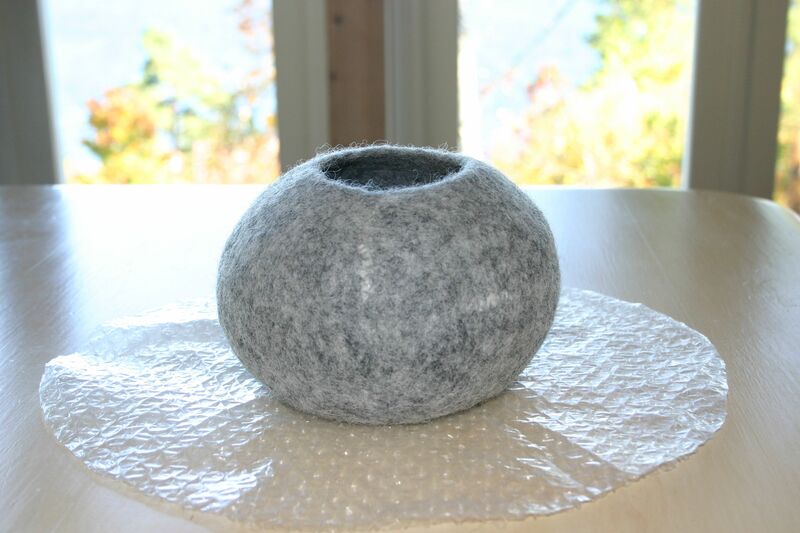 Made using a mix of Norwegian C1 and pelsull with a touch of silk throwers waste for accent. 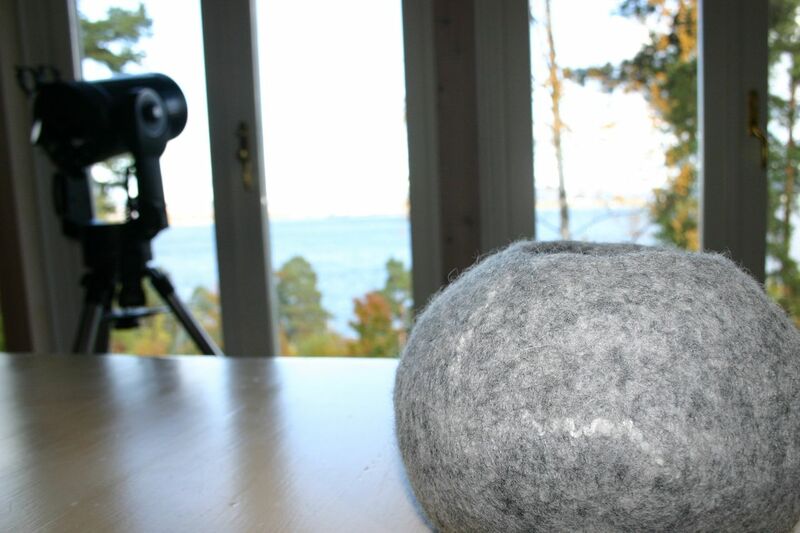 This photo will give you an idea as to how much it shrunk in the felting process. Norwegian C1 is fantastic wool! For comparison purposes, see the size of the original resist. ohhh.. and a link from Siki in Canada.. I absolutely love this, turn your music on and enjoy.